When checkbox "Use velocity for drum events" is on, for drum events velocity defines also as for usual note event in percent from 0% to 100%. 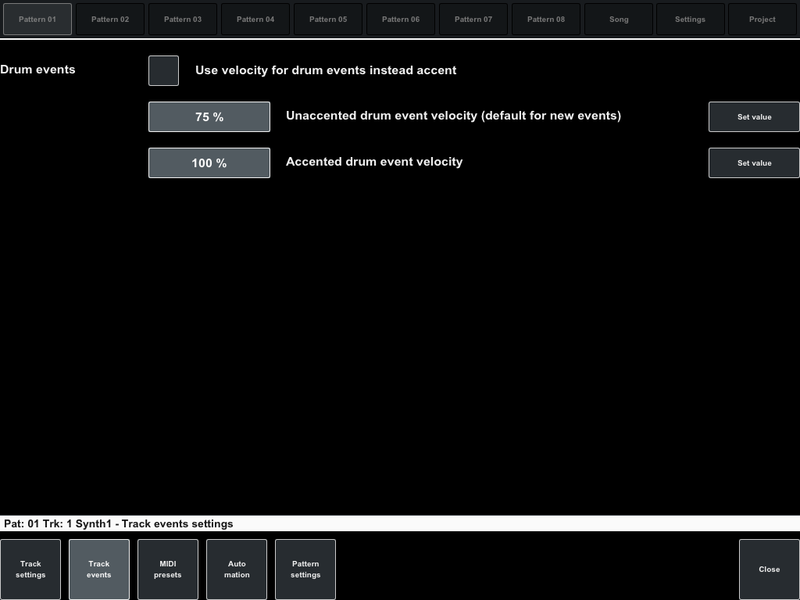 By default this checkbox is off and all drum events in the track have two fixed velocity value for normal event and for accented event. Next two parameters define fixed velocity for normal (unaccented) and accented events. Click "Set value" button to change this value. New value will be apply to all existing and new events in the current track.